Can a Spouse File a Wrongful Death Lawsuit If He Caused the Fatal Accident? The law sometimes leads to unusual–even seemingly absurd–results. Last year, we discussed a Tennessee Court of Appeals decision that held the husband of a car accident victim could not bring a wrongful death claim for his wife’s death when he himself had been accused by the victim’s daughter of causing the accident. The Tennessee Supreme Court has now taken a look at this case and decided the Court of Appeals failed to properly apply the state’s wrongful death law as written. To briefly review what happened: The husband was driving a car where his wife was a passenger. The husband’s car collided with another vehicle, killing the wife. The husband was later incarcerated for vehicular homicide in connection with his wife’s death. Nevertheless, the husband maintained the other driver caused the accident. He filed a wrongful death lawsuit naming the other driver as the sole defendant. Meanwhile, the victim’s daughter filed her own wrongful death claim against both drivers. 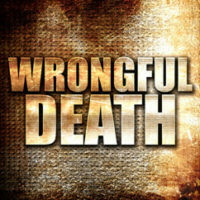 Unlike other types of personal injury claims, wrongful death lawsuits are governed by statute. Tennessee’s wrongful death statute states that when someone is killed due to third-party negligence, the right to sue passes “to the person’s surviving spouse and, in case there is no surviving spouse, to the person’s children or next of kin.” In other words, a spouse’s wrongful death claim trumps one brought separately by a child. But in this case the daughter argued, and the Court of Appeals agreed, that there was a conflict of interest given that the husband was both the plaintiff and the allegedly negligent party. The appeals court decided the husband should be disqualified from continuing to pursue his claim, and the daughter should assume control of the wrongful death case. The Supreme Court, however, said that outcome–while it might make more sense–runs contrary to law. The surviving spouse has “the prior and superior right above all others” to bring a wrongful death claim, the Supreme Court said in a unanimous opinion. There is no exception for scenarios, like this one, where the spouse may be the negligent party. Indeed, the only statutory exceptions to spousal priority are when the spouse “abandoned” the victim prior to her death, or where one spouse “feloniously and intentionally kills” the other. Neither of these exceptions covers accidental or negligent killings. Additionally, the Supreme Court rejected the daughter’s argument that the husband “waived” his right to file a wrongful death claim by declining to name all of the responsible parties–i.e., himself–as defendants. Again, the Supreme Court noted the law affords the surviving spouse the exclusive right to “control” any wrongful death litigation. This includes deciding who to sue. Although the Supreme Court’s ruling may seem illogical, it serves as an important reminder of the strict laws governing wrongful death claims. If you have lost a loved one due to someone else’s negligence, it is critical to seek out advice from an experienced Sevierville personal injury attorney. Call the offices of Fox & Farley, Attorneys at Law, or contact us online today to schedule a consultation.